高质量 现代家具行业外贸企业网站建设案例,番禺网站建设,番禺网站制作,番禺网络公司 ,外贸英文网站 Vollodis Furniture China Co., Ltd. , established in 1994, is a large-scaled modern furniture enterprise who research, design, manufacture, distribute, and offer service for furniture industry. Our product line mainly includes soft bed，mattress and bedding, etc. Meanwhile, we offer furniture supply chain management service to our customers. 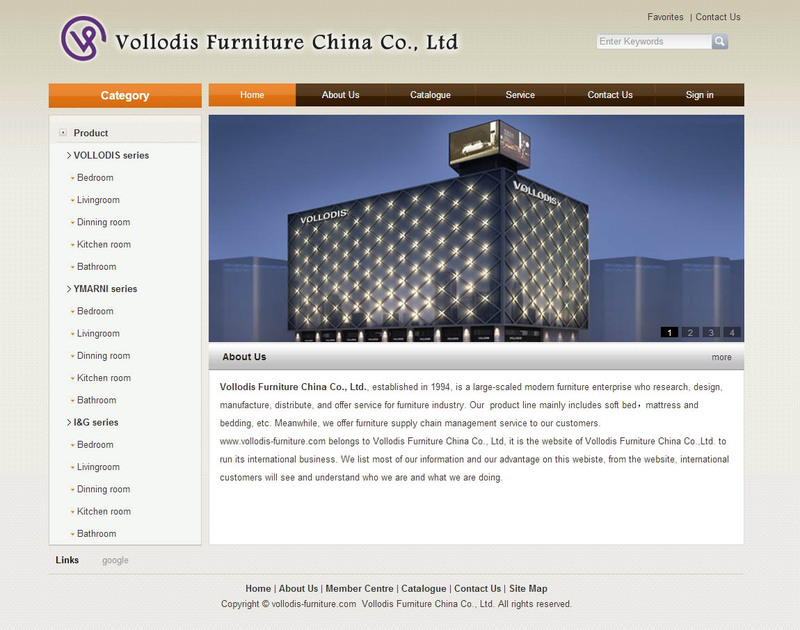 www.vollodis-furniture.com belongs to Vollodis Furniture China Co., Ltd, it is the website of Vollodis Furniture China Co.,Ltd. to run its international business. We list most of our information and our advantage on this webiste, from the website, international customers will see and understand who we are and what we are doing.